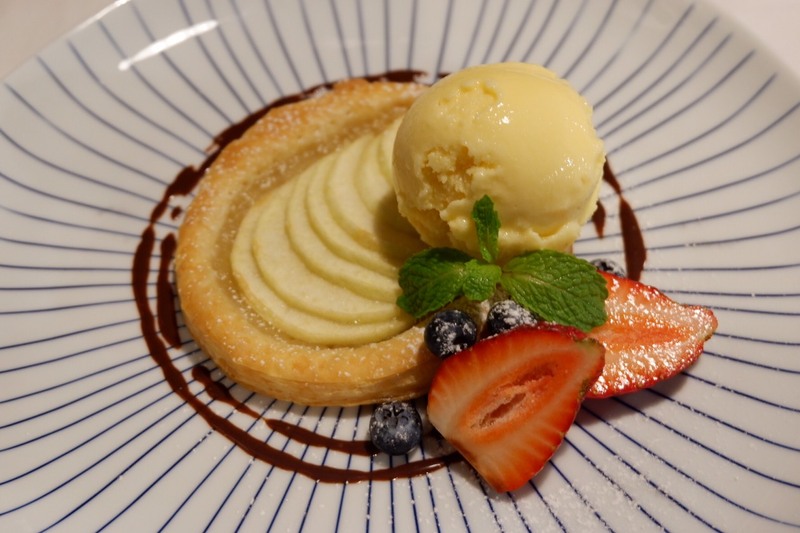 Choose from Al Dente's selection of homemade artisanal pasta, salads, main courses, and sides. 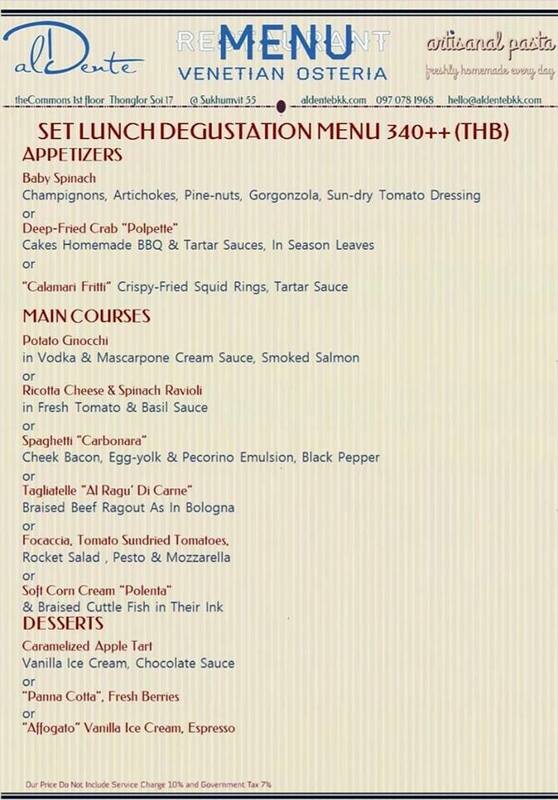 Or book our Special Lunch Menu - Only 340 THB++ for a starter, main, and dessert. 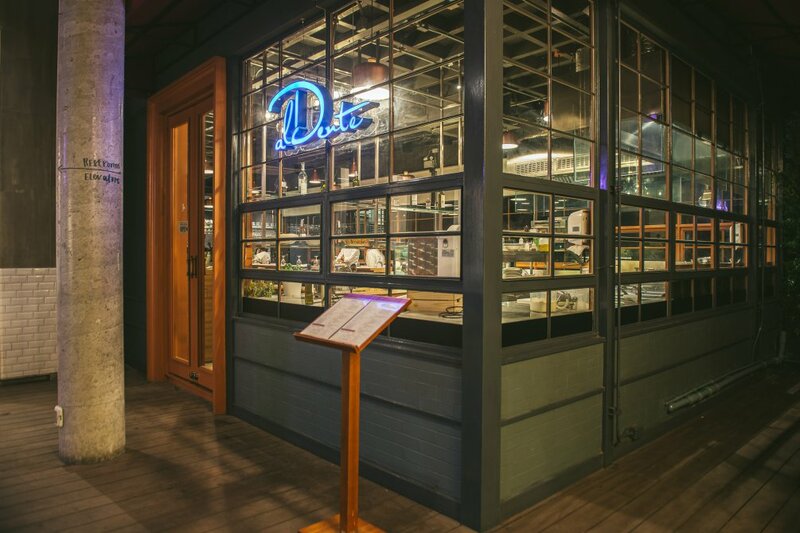 Amid brushed concrete walls and bright hanging lamps, pull up a seat at Al Dente’s open kitchen counter for a front-row view of chefs churning out fresh pasta. Italian treats include the spaghetti “Bottagara,” featuring garlic chili, parsley, rock lobster, dried gray mullet and pesto (B390) and the Bigoli “Al Ragu’ D’anitra” braised duck meat ragout.